A native Houstonian, Carr is 3rd generation in the financial service industry. The Burgoyne Family tradition of independent advice dates back to his grandfather, Wallace Martin Burgoyne, who began his career in 1927 at the firm Spencer Trask, well known for giving independent advice on preferred stocks. Carr and his wife Wendy are active members of their community and live in the Spring/Woodlands area with their two sons, Carr III and Colson. Most of his free time is spent with Wendy, watching the boys play lacrosse. Carr has 28 years in the financial service industry. He began his career in 1990 and joined LPL Financial in 2002. His resume includes multiple speaking engagements as well as instructing the CFP® program at The University of St. Thomas in Houston, TX. 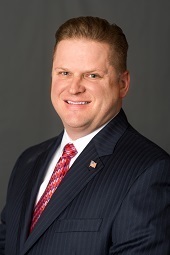 Carr is the Branch Manager and President & Founder of Symphony Financial, Ltd. Co., A Registered Investment Advisor. The Hybrid RIA is comprised of 5 DBAs, 17 advisors and 10 non-licensed admins, in 6 locations throughout the US. Carr’s unique business approach has allowed for organic growth on both the brokerage and RIA side & built long term partnerships with other advisors. A graduate of Stephen F. Austin University, Carr is a CERTIFIED FINANCIAL PLANNER™ Practitioner, Certified Fund Specialist and Accredited Investment Fiduciary. After attending the The University of St. Thomas in Houston, TX for his post graduate work and his CERTIFIED FINANCIAL PLANNER™ he then began instructing the CFP® program at university. A Broker/Dealer (BD), Investment Adviser (IA), or IA representative may only transact business in a state if first registered, or is excluded or exempt from state broker/dealer, investment adviser, BD agent, or IA registration requirements, as appropriate. Follow-up, individualized responses to persons in a state by such a firm or individual that involve either effecting or attempting to effect transactions in securities, or the rendering of personalized investment advice for compensation, will not be made without first complying with appropriate registration requirements, or an applicable exemption or exclusion. We recommend going to FINRA's Broker check to look up any licensed individual. Securities offered through LPL Financial Member FINRA/ SIPC. Investment Advice and Advisory Service offered through Symphony Financial, Ltd. Co., a Registered Investment Advisor. LPL Financial, Symphony Financial, Ltd. Co., The Greensage Group, Aviation Retirement Strategies, and Shank Wealth Management are separate entities.